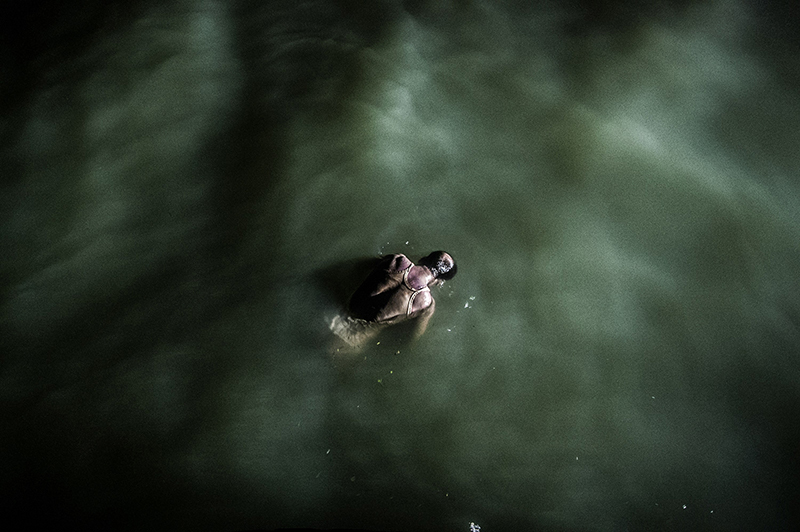 A dead body is floating in Meghna River, Munshigonj near Dhaka after 40 hours of the sunken ferry on May 16, 2014. Police suspects that the body gets too much weight due to the consumption of water, resulting the body is floating. On that sunken ferry 54 people died and 250 more passenger are lost.